As Adelaide’s cooler weather arrives, its time to book in your Evaporative Air Conditioner ‘Winter Shutdown’. In instances where your evaporative air conditioner does not have a winter flap, or isn’t covered, it remains exposed to the elements. This allows Adelaide’s freezing cold air to enter your home through the exposed air con pads and through your ceiling vents. This can also allow your warm air to escape and put additional strain on your heater. Stay cosy this winter by closing your ceiling vents and covering your evaporative air conditioner to prevent the cold air entering and your warm air escaping. Your evaporative air conditioner has a reservoir at its base which holds water. This water is pumped through the pads to cool the air as its being drawn into the air conditioner. During winter it is recommended that the water to the air conditioner is isolated and the reservoir is completely drained, washed with warm soapy water and rinsed. This process removes any dirt and grime build up in the reservoir that may have occurred over summer. It also prevents stagnant water sitting in the reservoir over winter which can become a haven for bacteria and algae growth. Correctly shutting down your evaporative air conditioner in winter can assist in increasing the longevity of your unit. 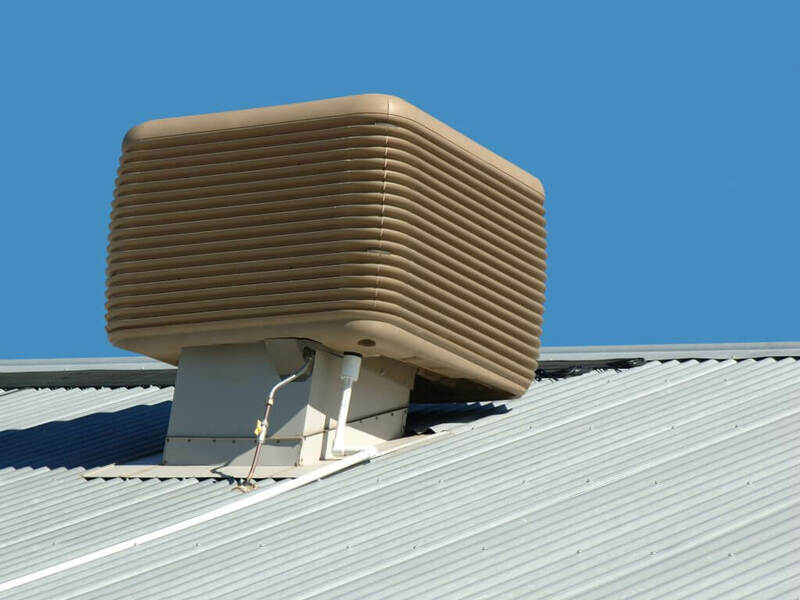 Covering your evaporative air conditioner with a ‘Winter Cover’ minimises the unit’s exposure to the winter elements and helps to prevent components such as cooling pads, pumps, and float valves from freezing. It also prevents cold draughts entering your home, and stops birds and other creatures from entering the unit. Precise Plumbing & Electrical provides a stress-free evaporative air conditioner ‘Winter Shutdown’ service. The ‘Winter Shut Down’ service helps ensure your unit is protected from the cold weather and that’s its primed for the next summer season. To book in your ‘Winter Shut Down’ service or for more information call us today on 1300 700 200 or book online!